Hello… Newman. Hola … George? What would you do if one of the most iconic of TV characters worked at a bar near you? Go there almost every night, like I did?! 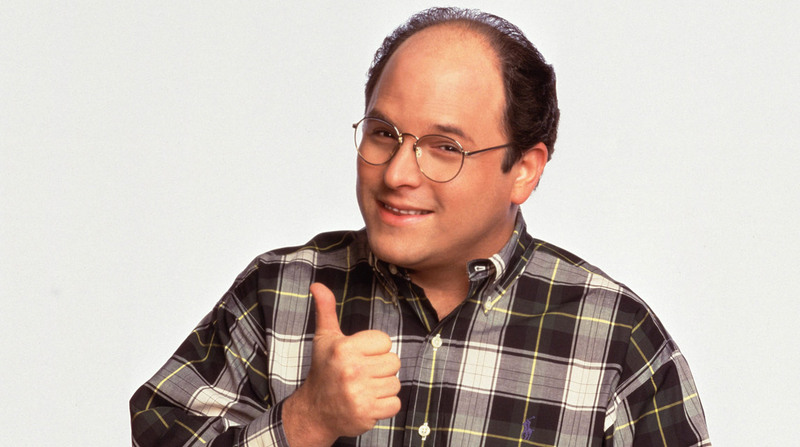 I truly think that when I lived in Barcelona for a year, I chose an apartment in the Barrio Gotico, or Gothic Quarter, to be near the bar Xampanyet, where the spitting image of George Costanza, the curmudgeon from the TV classic “Seinfeld,” worked. El Xampanyet (pronounced sham-pan-YET) is a small, traditional tapas bar across the street from Barcelona’s famed Picasso Museum, and two things make it a local favorite: the homemade cava they serve, and its decidedly unhip vibe in a neighborhood bursting with trendy, modern hot spots. But what made me return to it night after night was the owner’s uncanny resemblance to grumpy, jumpy George, aka Jason Alexander, Jerry Seinfeld’s not-so-loveable sidekick. Same smile, same stature, same bald head. The cava-serving Signor doesn’t speak English, but in my barely there Spanish I’m pretty sure he told me that he heard that a lot. Not from the locals, of course, but from the tourists visiting the museum and then taking his picture afterwards. 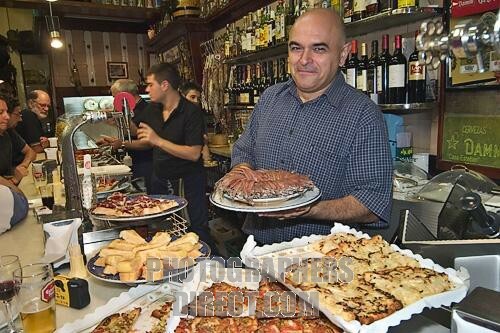 So why not stop in, try the bubbly cava and some delicious Catalan anchovies or Pa amb tomàquet (tomato bread) and do your best Elaine dance outside, just like I did!